Approximately: 20.72 sq m (223 sq ft). A new lease at a rental of £6,500 p.a. exclusive. 3 month rent deposit is required. 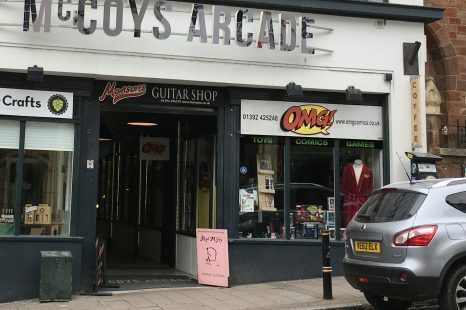 Fantastic opportunity to let Units 1-3 in McCoys Arcade. McCoys Arcade is situated in Fore Street, near the junction with Bartholomew Street & West Street. It is a well known Arcade which offers a unique undercover shopping area with a diverse range of Fashion, Designer & retro Clothing, Fashion Accessories, Music, Musical Instruments, Games & Gifts and a popular pavement style Café. The centre is secured at night.